Home > Beaded Curtains & Columns > String Fringe Curtains > String Curtain Black 3 FT x 9 FT - Polyester & Cotton "Nassau"
String Curtain Black 3 FT x 9 FT - Polyester & Cotton "Nassau"
A smart way to quickly change up the looks of an old window or doorway is to hang our 'Nassau' Black String Curtain that's 9' long! 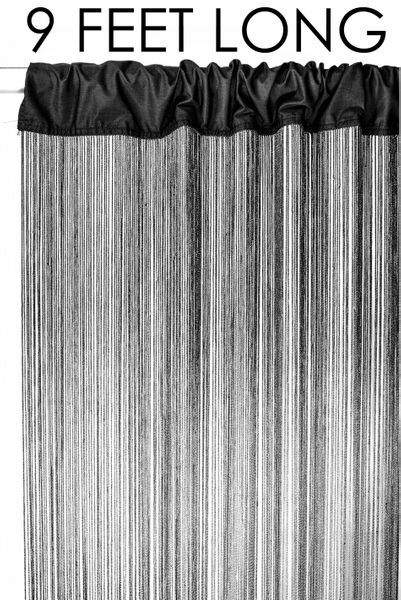 This stylish black curtain is perfect for highlighting an area or for hiding unattractive spaces and it has approximately 12 strings per inch so there are well over 400 silky strands on this curtain. The curtain is 35 1/2" wide and each polyester strand is 104" long. There is a 3.5" deep cotton rod pocket so this curtain is a total of 9 feet long. 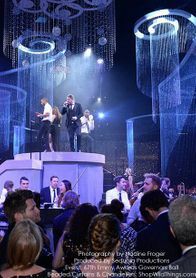 Use for store window displays, dress up a wall, use as a room divider and it's fantastic as a stage or photo backdrop. 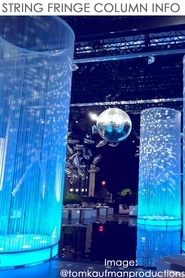 Our string fringe curtains are easy to hang since you can use any type of rod or drapery hanging system and they really look incredible when made into columns. You can even cut these curtains without having to worry about fraying! We offer this identical curtain in different lengths. I was looking for some inexpensive fringe or string curtains to create a barrier between my entrance and living space at home. 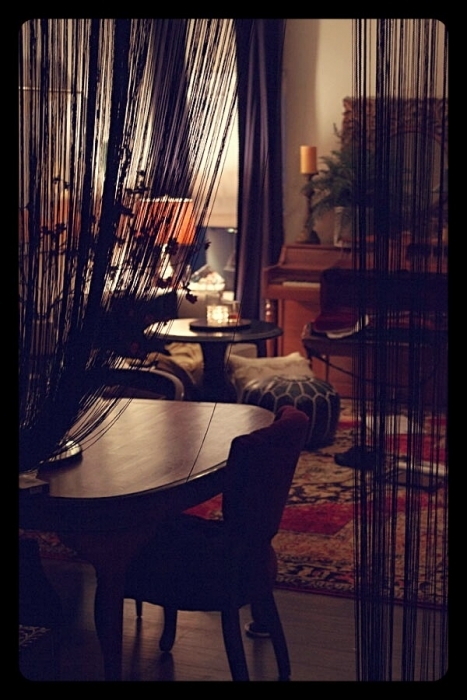 These string curtains were the perfect height for my 9-foot ceilings! They were easy enough to hang with an adjustable shower curtain rod and add so much drama and mystery to the room. Just the thing I was looking for!